Rishikesh offers tremendous white water adventure in the 36 kms stretch between Kaudiyala and Rishikesh on the magnificent Ganges. Rishikesh offers tremendous white water adventure on the magnificent Ganges. Rishikesh: The advent of monsoon has brought an end to popular adventure sport of white water rafting in Rishikesh. The sleepy town on the banks of the Ganges in Uttarakhand is associated with spirituality and yoga. But over the years, Rishikesh has made it onto the international map for offering adventure sports - white water rafting being one of them. 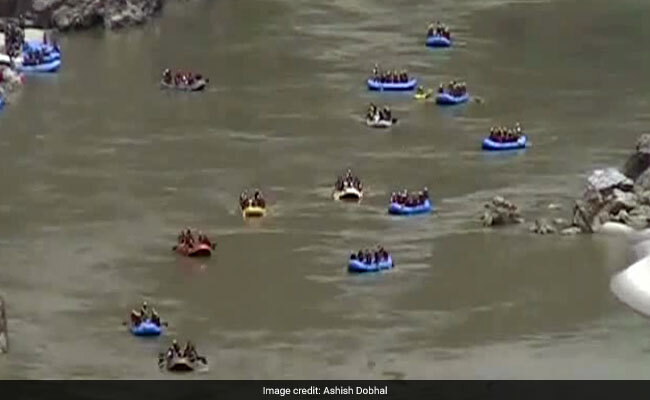 Every year - from early September to June - the sport brings lakhs of people from home and abroad to experience the thrill of rapids in the Ganges. Rishikesh offers tremendous white water adventure in the 36 kms stretch between Kaudiyala and Rishikesh on the magnificent Ganges. Over the years, hundreds of rafting camps have come up in this stretch bringing in revenue and fame that the sport has to offer. From mild to wild, the rapids on the Ganges offer it all with a picture postcard setting to take you through, making this the perfect playground for one and all - amateur as well as experienced rafters. For now, all camps and raft rental shops which had mushroomed during peak rafting season have shut shop and left the town.